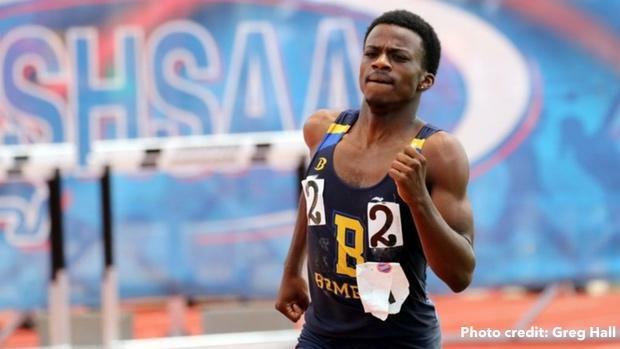 Just How Fast Will Brandon Miller Go At Festival Of Miles? That's the big question facing the high school races as the Festival of Miles approaches Thursday in St. Louis. The freshman class record holder in the 800m and two-time state title winner pushed for a career best time of 1:49.55 at the Missouri Class 3 State Championships on May 26, capitalizing on his first effort under 1:50 since the AAU Junior Olympics last July. But while the Festival of Mile's 2017 field kept close to Miller, who won this same race last year in 1:52.42, that seems unlikely this time around. Miller is at least a second or two faster than he was as a freshman and could be chasing the sophomore class record of 1:48.98, which was last accomplished by Michael Granville in 1994. He could also score a 16-year-old record, which was set in 2016 in a time of 1:48.43. The next fastest competitor in the field, however, has a PR of 1:54.04. Expect Miller to do a lot of the work himself tonight. But as always, don't be surprised by the sophomore stud. Personal record or not, Miller will entertain with a fast race. Breakdown: This race will a battle between the top three seeds. Donnelly ran 4:48.78 on May 12, while Findley is coming off a 4:51.07 from state on May 26. Vaughan's best time isn't far behind, but her 4:53.49 came at the Texas Relays, which was all the way back in March. Will this be a sit and kick race, or will someone try to set the tone early and break a few runners in her wake? Breakdown: The mile should be plenty interesting. Dillon's mile time is converted down from altitude, considering he competes in Colorado. But he also has good leg speed in the 800m with a personal best of 1:53.93. Gatewood, Payamps and Riddle will all keep this mile honest. And two underclassmen, Allred and Rivera, shouldn't be overlooked, either. This could be a championship style race, with a win from this prestigious mile being the top prize.